Shrubs are an excellent addition to residential landscapes. With their short height – usually just 2 to 15 feet – and bushy appearance, they are perfect for flowerbeds. Using just a few strategically planted shrubs, you can enhance your landscape to create a more attractive curb appeal. But if you’re going to grow shrubs in your landscape, you’ll need to prune them on a regular basis. Otherwise, they’ll look messy and unkempt. 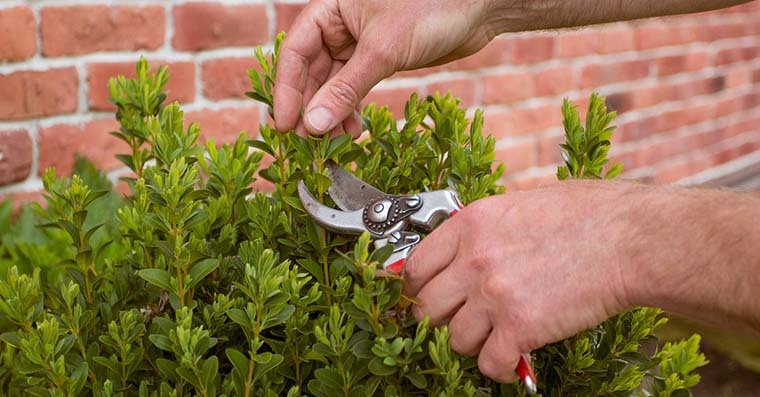 Whether you use a hedge trimmer, gardening scissors or a pair of pruning shears, always use a clean and sharp blade with pruning hedges. If the blade is dull, it could tear your shrubs rather than cutting them. And if the blade is dirty, it will expose your shrubs to infection-causing germs. 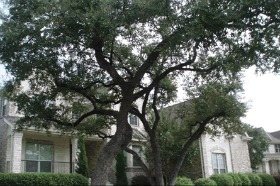 A common mistake homeowners make when pruning shrubs is cutting the branches horizontally. 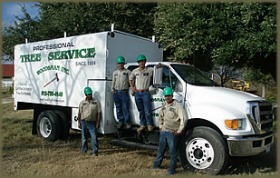 While this sounds harmless, it causes additional stress through dehydration that can kill already weakened shrubs. Instead of making horizontal cuts, make angled cuts at 45 degrees. Not only does this minimize stress; it encourages the branch to grow back in the angle in which you cut it. A good rule of thumb to follow when pruning shrubs is to start with the largest branches and work your way down to the smaller branches. Cutting away just a few of the thickest branches may suffice, in which case there’s no need to remove any smaller branches. So, start with the largest branches first. If the shrub still looks too large and unkempt, you can then remove some of the smaller branches. Another rule to follow when pruning shrubs is to remove no more than one-third of the shrub’s branches. Over-pruning a shrub can have devastating consequences. If you remove more than one-third of a shrub’s branches, it may struggle to grow back, eventually dying and forcing you to replace it with a new shrub. Most shrubs should only be pruned once or twice a year: once in late spring and, if necessary, again in autumn. Keep an eye on your shrubs around these times of the year. If you discover your shrubs look overgrown and unkempt, go ahead and prune them. By regularly pruning your shrubs once or twice a year, you’ll keep them looking uniform and healthy.